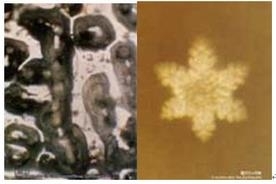 [PureInsight.org] Results of further research on "water crystallization experiments". 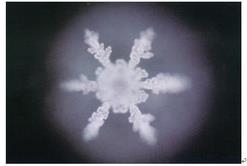 The experiment of water crystallization began in 1994 by Dr. Masaru Emoto (Jiang Bensheng) in his IHM Institute. 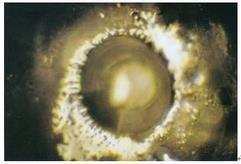 He filmed water crystallization by magnifying it 200-500 times with a high-speed camera and at a low temperature of minus 25 degrees Celsius. 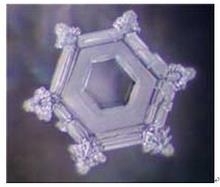 Dr. Masaru Emoto did the water crystallization experiment by using distilled water first, then pure water and contaminated water. He also collected the water sample three days after the 1995 Kobe earthquake in Japan and invited monks to chant scripture over the contaminated water and obtained surprising results. 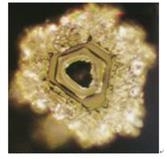 Dr. Masaru Emoto concluded people with pure thoughts could produce good results. 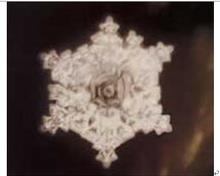 Dr. Masaru Emoto attached a note to a water bottle and then he filmed the water crystals. He tested with the word "wisdom" first. 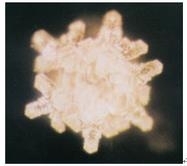 No matter in Japanese, English or German, the water crystals always showed a beautiful hexagonal crystal structure. We were curious how much the water crystals could understand the human language. If the water understood the word “wisdom”, could it also understand the human language, universal information, or the law of the universe? 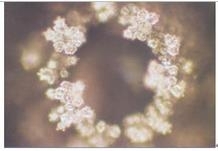 The following pictures of water crystals were taken by the labels of the word “universe”. It also showed dignified and graceful forms in three languages. We attempted to establish what connection was there between the earth, the universe and wisdom. 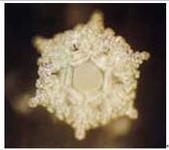 The following water crystallization experiment indicated that water could not only read but also listen. The water crystals enjoyed music, Pastoral by Beethoven, Raindrop by Chopin and Swan Lake by Tchaikovsky. The water was so spiritual, so beautiful and so pure while the music was being played. The landscape of the Tibetan Buddhist music looked like the Datura flower described in the Buddhist scriptures scattering light. 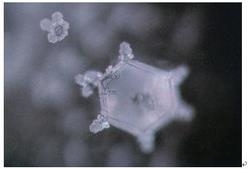 Water crystallization could also respond to different messages like love, angelic, gratitude, a modest request and an apology. Water could warn us of evil, what is wretched and what is commanding. Water would show anger when there was vulgar noise coming from heavy metal music. It seemed like water could see the devil and other wretches. Even more astonishing was the relationship between criticism and earthquakes? Was the earthquake a natural disaster or anger from God? People cannot help but nervously ask themselves! 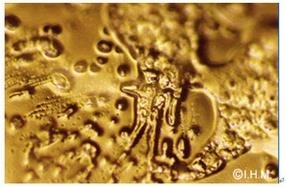 Thus, we could see judgment between good and evil from water. 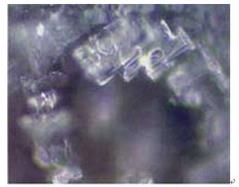 Water could use its perfect crystals to tell people that things were good by reflecting the original nature of the universe which was pure law. Water could also be used to warn people of evil and corrupt behavior as a betrayal of the universe’s original pure nature. Water is pure and good; it never lies, nor is it swayed by human emotions because at its heart water can see the world. Water is eternally sincere with a crystal clear and shining heart. 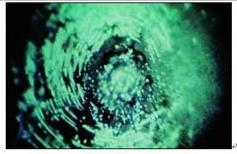 The following picture showed a heart-shaped crystal pattern when water saw the English word “soul”. So we saw the spiritual power of pure compassion from the basis of all life--water. 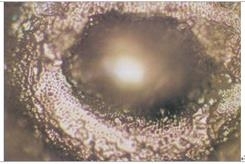 Water crystallization experiments were to show us the relationship between material and consciousness by looking at whether the basic material--water--can form a stable structural configuration of crystallization after receiving external information, or consciousness. The relationship between the material and spirit has always been a vexed issue. 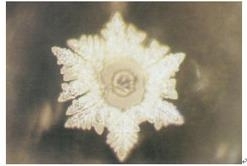 The results of the water crystal experimentation showed the true relationship between material and spirit through a simple experiment. It exposed the fact that all material has spirit. It also revealed the truth that mind and matter are one and inseparable.